HARRISBURG – Senator Scott Martin (R-13) was appointed this week to serve on a specialized advisory panel devoted to local government issues for the General Assembly. Martin will serve on the Local Government Commission, which is responsible for providing objective expertise for members of the legislature on a wide range of issues that affect counties, municipalities and other local governing bodies. Members of the committee play a leading role in identifying priorities and drafting legislation to address local government issues. Last month, Martin was also appointed by Senate President Pro Tempore Joe Scarnati (R-25) to serve as Chair of the Senate Local Government Committee, which is tasked with reviewing legislation that affects Pennsylvania’s more than 2,500 county and municipal government entities. 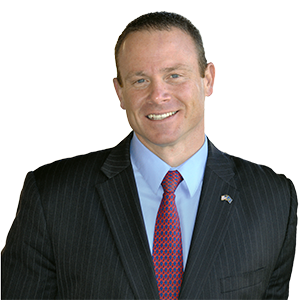 Martin previously served as a Lancaster County Commissioner and Chairman of the Republican Caucus of County Commissioners, as well as the County Commissioners Association of Pennsylvania Board of Directors and Governor Corbett’s Local Government Advisory Committee. The Local Government Commission, created in 1935 by an Act of the General Assembly, is one of the oldest agencies of its kind in the United States. The Commission is comprised of five Senators and five House Members, appointed by the President Pro Tempore of the Senate and Speaker of the House, respectively. More information about the Local Government Commission is available at http://www.lgc.state.pa.us/.